Imagine being able to bid for bigger and better projects in a world where 3D working is becoming more and more essential. 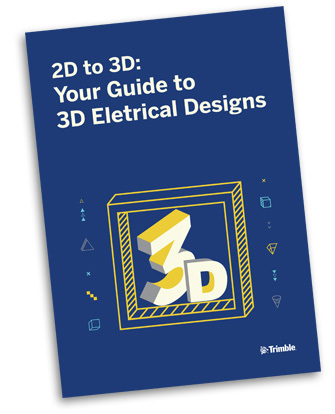 Our newest guide explains the value and ease of changing to working in 3D and ensuring your electrical designs are accurate and conform precisely to regulations. As the construction industry continues to evolve at a staggering pace, clients are increasingly looking for certainty through more precise and complex design information in advance of awarding contracts. Download our latest guide for more information!